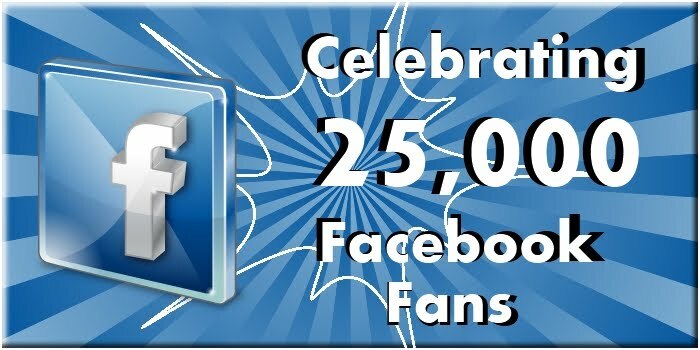 We now have over 25,000 Facebook Fans and it's time we did a whole bunch of giveaways! BIG IDEA! - Combine it with signing up to their Treasured Toys and Birthday Club and get an addition 10% off your next order. PLUS - Plus get Free Shipping on orders over $60. Use code FREESHIP60 during checkout. That's a lot of help for this year's Christmas gifts! Here's my list of favourites - if I still had little ones to buy for, it would be a hard choice! -- Incredible value and superior craftsmanship make this item a top seller and childhood favorite. Brightly colored, smooth-sanded pieces help build early shape, color and size differentiation skills. -- To market, to market our durable metal shopping cart looks just like those in real stores. Sturdy metal construction includes pivoting front wheels, a folding doll seat and protective corner bumpers to navigate the aisles in style and safety. -- Load, raise, and haul four new vehicles along an imaginary highway with the Car Carrier from Melissa & Doug. This quality, all-wood truck makes it easy to load four brightly colored cars onto a long ramp that folds into a two-level carrier, allowing your child to deliver the vehicles wherever they may need to go! What would you spend your $25 Melissa & Doug gift certificate on? For more chances to win, do as many or as few of the following as you wish - please make sure to leave a separate comment for each one completed. Bunching them all together in ONE post will only give you ONE entry. 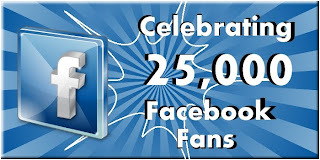 Frugal-Freebies.com is having a 25,000 Facebook Fan Celebration! Stop by before midnight November 21st ET to enter to win! Frugal-Freebies.com 25,000 Facebook Fans Celebration, with a $25 Melissa & Doug gift certificate giveaway! Enter by Nov 21st! Only relevant comments will be accepted. Your Giveaway prize is always free, there is no entry fee or delivery cost. or sign up to Prizey.net, if you are not comfortable leaving your email on a public blog. This giveaway ends on November 21, 2011 at midnight ET. Winners will be chosen using Random.org. I will e-mail the winner, and results are always posted here as well. If the winner doesn't respond within four business days, a new winner will be drawn. I am also submitting the winner info to PRIZEYWinners so, if you wish, you can check there to see if you've won this giveaway. This offers readers the opportunity to check there without the inconvenience or security risk of offering up personal emails in public blog comments. You are circled on my Google+!! I found out about this contest on your website!! I posted this contest on Facebook!! I follow you on Networked Blog!! I like you on facebook(Ellen Freitas-Cunningham). Thanks for the chance. I liked you on Facebook! My Facebook name is Kate Coupons. Would love to win & would greatly help out my family for Christmas this year!! I first found out about this giveaway on facebook. I found out about the contest on facebook! I posted on my facebook about this contest. I followed you on facebook!! Love your site! I'd spent this on playfood for my kids play kitchen! I found out about the giveaway on Facebook ! Following you on Facebook, Twitter and Network Blog. Beccalizz(at)yahoo(dot)com. like on facebook colleen b.
I found this giveaway via your facebook! I like Frugal Freebies on Facebook user Lisa Garner. I added you to my Circle on Google + user Lisa G.